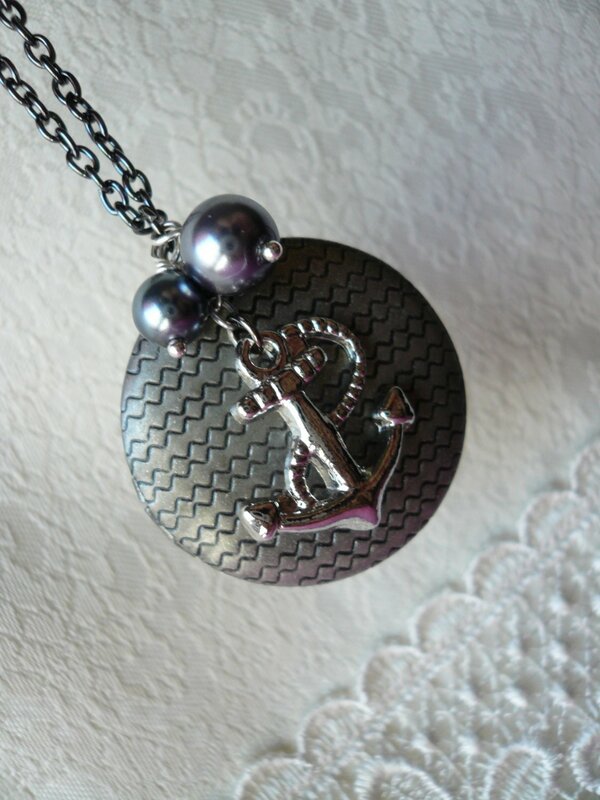 The round locket has soft ripples embossed on one side & is decorated by wire-wrapped grey glass pearls & a silver anchor charm. A photo of a good size can be kept inside. The VOYAGE Antique Silver Round Locket Long Necklace will arrive gift boxed & be sent by Registered Airmail providing a tracking number. Thank you for visiting JewelFairy.